You believe the awesome richness of the Gospels should be explored, but you’ve discovered the Bible is filled with inconsistencies, mistranslations and contradictions. You have outgrown a literal-only interpretation of the Bible and believe the Gospels have deeper spiritual meanings, but you’re not sure where to look to find a credible source. You’d like to continue using the Bible, but you wish it could be more 21st century relevant and practical. You consider yourself more spiritual than religious, but still believe the Bible can be a legitimate source for your spiritual growth. Hi! I’m Rev. Dr. Bil Holton and I can assure you that you won’t have to depend on literal translations of scripture anymore to understand what the Bible really says. The Four Gospels: New Metaphysical Version e-book gives you just what you need to walk the spiritual path on practical – and enlightened – feet. The only risk you’ll take is over-turning outdated religious perspectives that you have, no doubt, already outgrown! In a minute, you’re going to see why bright, forward-thinking people like you are drawn to spiritual resources like this one. And I’ll tell you what – I believe you’ll fall in love again with the Four Gospels, but from a totally different perspective. Why? Because the perennial truths you’ll discover in this unique volume will confirm the direction of your current truth walk. If you want a more fulfilling life for you and your family – a more spiritual life, a more grounded life – you owe it to yourself to follow your intuition and move one step closer to leaving religious dogma behind FOREVER! I’m not kidding. I wouldn’t kid you about a thing like that. There’s absolutely no dogma in The Four Gospels: New Metaphysical Version! unity and global oneness over separation, walled beliefs, and tribalism. And I totally understand where you’re coming from. I’ve been there myself. I’ve felt the urge for more meaning and depth in scripture. I, too, was starved for answers that were hard to decipher from Bible passages that didn’t make any sense. It’s true! Once you have found a deeper perspective, a superficial one isn’t good enough any more. Now I want to be honest with you. This book isn’t for everyone! Don’t purchase it if you want to stay more religious than spiritual. This book is for people who are tired of the discrepancies in the Bible — sick of dogma and misinterpretations that lead to bigotry and discrimination in the name of religion. This book is for people who are ready to break free of old traditional beliefs and soar to new heights of spiritual enlightenment! What was the virgin birth? What was the real relationship between John the Baptizer and Jesus? What does the beheading of John the Baptizer mean metaphysically? What proof is there that Jesus actually walked on water? Are women meant to be subservient to men? Do we have to die to go to heaven – or hell? Is Jesus the only one who can raise people from the dead? What does salvation really mean? Can I be saved without going to church? Was Jesus really raised from the dead? Are the copies we have of the Gospels God ordained or man made? These are the kinds of questions that may have frustrated you, confused you, and upset you for years, because all of the traditional interpretations reinforced your doubts about the inerrancy of scripture. But the interpretations you’ll find in The Four Gospels: New Metaphysical Version are derived from over 40 years of metaphysical Bible study, interviews with highly credible spiritual teachers, and my own personal and professional research in the esoteric perspectives of world religions. I am an ordained Unity minister who has always been interested in the hidden wisdom contained in the Bible – and in the sacred texts of the other major faith traditions. I have been a student of New Thought since I was twelve years old, and have had the privilege of learning the ancient teachings from many of the world’s greatest spiritual teachers. Having said that, I hope you’ll see the value in reading what someone who was in your shoes 40 years ago has to say now about the true nature of scripture. My answer to you is – because it’s all about divine timing! You are ready for this remarkable information now or you wouldn’t have come across this opportunity! 40 years to have this metaphysical knowledge ready for you. and to the hidden wisdom in the Gospels. You’ll find that the Bible is written in a secret code — and once you understand the code, you’ll unlock a whole deeper meaning of every chapter and every verse. If you think conventional scriptural passages are meaningful, inspiring and assuring, wait until you read their metaphysical interpretations! Matthew, Mark, Luke, and John into its spiritual meanings to help you deal with the challenges you are facing today. Your interest in a spiritual interpretation of the Gospels proves that you are on the cutting edge of a global spiritual renaissance. Wouldn’t you like to live in a world with those kinds of spiritual foundations? Wouldn’t it be a better place for your children and grandchildren, and their children and grandchildren? We believe being more spiritual than religious is a necessary condition for achieving peace on earth. And your interest in understanding the hidden truths in the Bible means you will be on the growing edge of making a difference instead of the dull edge of mediocrity. How Can You Use The Four Gospels: New Metaphysical Interpretation? Use this exceptional book as a Personal Study Guide! 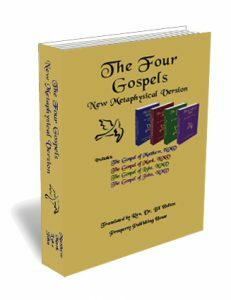 This New Metaphysical Version of the Four Gospels reads verse-by-verse alongside whatever traditional version you prefer to read. Use it for Group Classes! The New Metaphysical Version of the Four Gospels stimulates a lot of discussion, as group members gain new insights into familiar verses and Gospel stories. Use it to Search for Key Words, Stories, Verses! You can search for key words or phrases quickly and easily with this PDF searchable e-book version, complete with an extensive Bookmark section in addition to the Search feature. on our higher spiritual qualities. our understanding of our divine potential. the challenges ahead that lead us into endless opportunities for growth. for we shall have control over all of our thoughts, attitudes, emotions, and actions. for we shall be transformed by the renewing of our minds. for we shall be treated likewise. outer appearances—for we shall view all things from our Christ Consciousness. to the world—for we shall become radiating centers of peace, love, and unity. false inclinations for Truth’s sake. has gone through similar trials and triumphs. How would you like the rare privilege of owning a book that deepens your appreciation for where you are on your spiritual journey? You’ll find out in Matthew, Chapter 13. If you could reap the benefits of all of your soul searching and all of the lessons you have learned up until now – and know that it has been worth it without a doubt – what price would you put on your life experience? Suppose you could find a thought-provoking book that stimulates your thinking so much that you could have more money than you ever thought you could have, be healthier than you could have imagined, and experience the inner peace you knew was possible but couldn’t quite seem to find? If you could achieve that degree of inner peace, how much would that be worth to you? It is covered in Mark, Chapter 2 and Luke, Chapter 15. How often have you found a book that connects with that inner voice that says, “This teaching is for real! It is touching something deep within me that knows what it says is true!” You will be astounded at that teaching in John, Chapter 20. If you came across a spiritual teaching that could literally transform your life forever – in a soulful, positive, and joyful way, how would you ‘spend’ all of the soulfulness, positivity, and joyfulness? You don’t need a Ph. D. in religion or theology to get what you need out of this book. have never gone to church, but are searching for meaning and spiritual growth on their own. Order your copy today, and begin making sense of the Bible! See how it offers powerful messages to help you master the art of living as you walk the spiritual path on practical feet! This eBook is in digital downloadable format, so you get it instantly. You’ll receive the eBook as a pdf file, viewable with the free Adobe Reader or any other pdf viewer. So, what’s your financial investment for this incredible book? This is a $71.80 Value! Each individual eBook of a Gospel is $17.95; but you can get this first-ever Collection Edition, which includes all Four Gospels, for only $49.95! This is like getting one of the Gospels free! 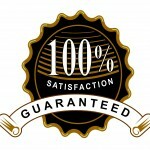 If for any reason you are unsatisfied with this eBook, you may return it for a complete refund within 60 days. No questions asked! However, if you decide to take that route my concern will be that you haven’t given yourself a chance to reap the awesome spiritual growth benefits you could have gotten from fully absorbing this knowledge. We stand behind our products and strive to create only the best spiritual growth resources. I’m offering this affordable price because you deserve to have the most current metaphysical thinking in order to accelerate your spiritual growth. You’re obviously already on your way toward a more expanded view of scripture, so it just makes sense to provide you with a solid foundation to build on. If you like what you see here you’ll want to see what else I have that can support your spiritual growth. And I’ve plenty. So much, in fact, that I’m going to sweeten the deal by including some special free gifts as a part of this offer. Can you believe it! Why would I do that? Because you’re going to want more once you discover what’s inside of The Four Gospels: New Metaphysical Version! And I know that’s true because others who have taken advantage of this offer have done just that! You’ll need to act fast, though! Don’t Wait! The special bonus gifts are included for the first 100 buyers as a way of saying thank you. Thousands of people who are serious about their spiritual growth are getting together in small groups of like-minded people and discussing their favorite Gospel stories. You will love these powerful pamphlet study guides. As you focus on a specific major story in one of the Gospels, you have a handy pamphlet that contains a verse-by-verse metaphysical interpretation as a handout for each participant, which serves as both a handy in-class reference and a powerful reminder of the teaching. How can you use the pamphlets? We invite you to consult your favorite Bible translation that corresponds to the story captured in a specific pamphlet listed in this archive. You might even want to share a variety of versions. Read your translation and then compare it to the metaphysical perspective contained in the corresponding pamphlet. Although the content of traditional scriptural passages varies slightly, depending on the translation, the metaphysical message is designed to align with your translation verse-by-verse. 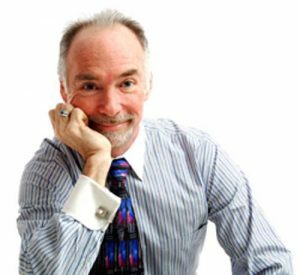 Lead the group in a discussion of what the metaphysical interpretation means to them, and how they can apply it in their every-day lives. When can you use these pamphlets? You will find that we have provided both wings and landing gears with these metaphysical renderings so that they are both practical and down to earth. We have opted for understandability and clarity instead of loftiness and vagueness in offering these metaphysical perspectives. You will be receiving camera-ready copies of 4 different pamphlets that describe a specific New Testament story – one camera-ready copy from Matthew, one camera-ready copy from Mark, one camera-ready copy from Luke, and one camera-ready copy from John. That means once you receive your colorful camera-ready copies you can run as many copies as you want of each pamphlet any time you want. A $79.80 value (each camera-ready copy sells for $19.95 online). 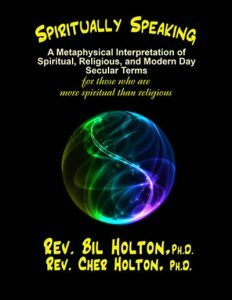 The complete 500+ page, A to Z, 5,700+ term glossary is the first of its kind to provide readers with thoughtful spiritual interpretations as well as whimsical, laugh-out-loud definitions of a wide variety of modern day spiritual, religious, and secular terms—with a few of the old traditional favorites making cameo appearances. You will find spiritual interpretations and explanations to terms such as: abracadabra-ing, ambulance, brain candy, cat nap fraud, chatter bomb, flyswatter rebuttal, the Third Coming, gift card millionaires, holy ground, jukebox religion, kundalini, malware, mental kudzu, never-never land, optical delusions, paparazzi, Internet, speaking in tongues, tattoo, text purgatory, tree of life, tree of the knowledge of good and evil, unforgiveable sin, wackadoodles, world tree, youology, Zenful, Ziploc bags. This is one of the most awesome and totally unique bonus gifts you will ever see as part of a book offer. Why? Because the bandwidth of resources used to create this work in progress is broader and more comprehensive than anything else ever attempted in its field. It is a 20-page sampler book, containing a variety of the terms found in the full glossary. And that’s no exaggeration! You’ll see that very clearly when you receive it as part of this offer. A $15.97 value — and it’s yours for free with this offer. (This sampler is part of the complete glossary I mentioned earlier which includes over 5,000 terms and took over two years of research to compile, edit, and write). You’re not going to believe I’m including this special bonus gift, too! It’s the e-book version of Matthew Revisited, which is the companion to the bestselling hardback The Gospel of Matthew: New Metaphysical Version. 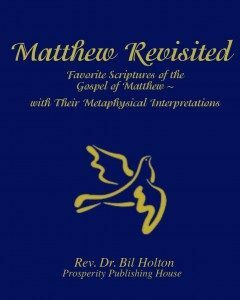 It takes you on a religious and spiritual sound byte journey through Matthew’s Gospel by providing your favorite scriptural passages and selected Bible stories in one of the traditional mainstream versions and then interpreting that same verse metaphysically. You can sit back and enjoy a gospel gourmet of the best of Matthew’s Gospel with each of your favorite Bible verses at your fingertips! 28. Come to me, all you who labour and carry burdens, and I will give you rest. 29. Take my yoke upon you, and learn from me, for I am gentle and meek in my heart, and you will find rest for your souls. 30. For my yoke is pleasant and my burden is light. 28. When we labor studiously to move beyond any resistance (burdens) to our divinity, we will find the inner path detour-free (rest). 29. The more we discipline ourselves to follow truth principles (accept the yoke), the less resistance (meekness) we will have toward actualizing our divinity 30. because the purpose of our human incarnation is to unfold into our Christhood (lighten our burden). Pretty enlightening isn’t it! Especially when you can compare both versions side-by-side, so to speak! But that’s the kind of scholarship you can expect in this bonus gift (and in all of my research and publishing). 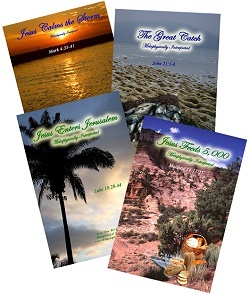 A $10.95 value — yours free when you purchase The Four Gospels: New Metaphysical Version! So, if you add up the total Bonus Package, you are receiving $106.72 worth of ‘metaphysical gold’ absolutely free for purchasing The Four Gospels: New Metaphysical Version. Actually, you can lose – by not taking advantage of this amazing offer now! Lock-in this price NOW so you can get these bonuses for free! Once you have ordered on the secure server, you’ll be taken immediately to a special download page where you can download The Four Gospels along with your free bonuses. The books are all in PDF format for your convenience. You’ll have this timeless wisdom in just a few moments. And I’m affirming already that you will experience a tremendous surge in your enthusiasm for your continued spiritual growth and the growth of your loved ones as you share this metaphysical wealth. Thank you for your interest and I look forward to hearing about your spiritual transformation. Your sending me a testimonial and mentioning the books will help others who are also on the path see how they can use metaphysics to enrich and enliven their spiritual journeys. P. S. I’m pleased to offer a spiritual education experience that will help quench your thirst for spiritual growth. Our on-line curriculum (see our website) is designed to give you a wide range of personal and spiritual development experiences to transform your thinking, feeling, and doing. P. P. S. As you’ve just discovered, a metaphysical interpretation of ANYTHING means seeing people, places, things, and events that happen ‘out there’ as human and spiritual qualities, talents, and abilities – as well as faults – within us. I predict the metaphysical knowledge you’ll gain will ‘ruin’ reading literal interpretations of scripture for you. Congratulations!!! You’ll be in a very select club of metaphysicians.